A deep cycle battery is designed to regularly deeply discharge its capacity before recharging. In contrast, starting batteries are designed to deliver the short burst of power required to start an engine. 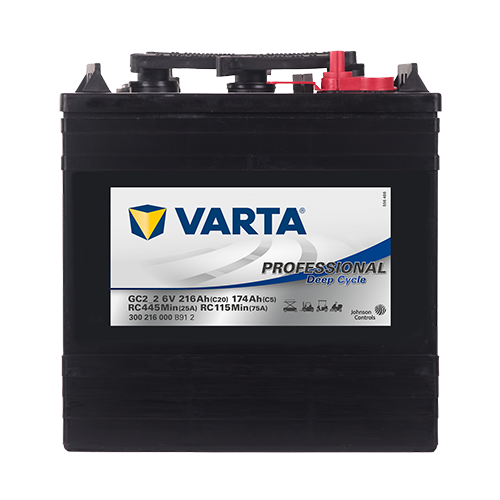 The plates in VARTA® Professional Deep Cycle batteries have a higher-density active material than standard automotive battery plates, enabling them to withstand the stresses of deep cycling without the loss of active material or capacity. 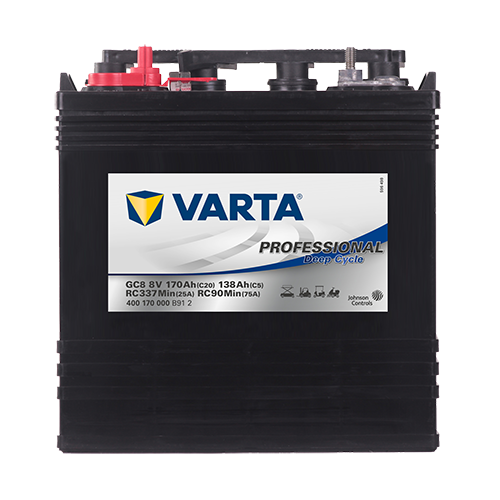 Why VARTA® Professional Deep Cycle Batteries? Powered by Johnson Controls Power Solutions, VARTA® Professional Deep Cycle batteries are trusted by customers globally. VARTA® Professional Deep Cycle batteries provide longer life, less corrosion and lower cost of ownership. Take your vehicle to a workshop which works with VARTA® in order to experience excellent replacement service.